Are you wanting 2017 to be your healthiest year yet, but are unsure where to begin? If you’d like to send some unexplained symptoms on a permanent vacation, or are simply interested in living a long, healthy life – Live Cell Analysis is a great place to start. By examining live and dried blood samples under the microscope, Grant Derkatz (our Live Cell Analyst and Clinical Director) can determine imbalances in the body and give you a targeted strategy to help you get back to your healthiest self. Considering blood is the life source that supplies our entire bodies with nutrients vital to thrive and survive – it’s no surprise that taking a closer look at blood cells can highlight where things might be going wrong. A huge advantage of Live Cell Analysis is its ability to pick up health problems in their earliest stages. By identifying the underlying cause behind weaknesses in the body, Grant is able to make suggestions that will foster an internal environment conducive to healthy cell formation and prevention of disease. 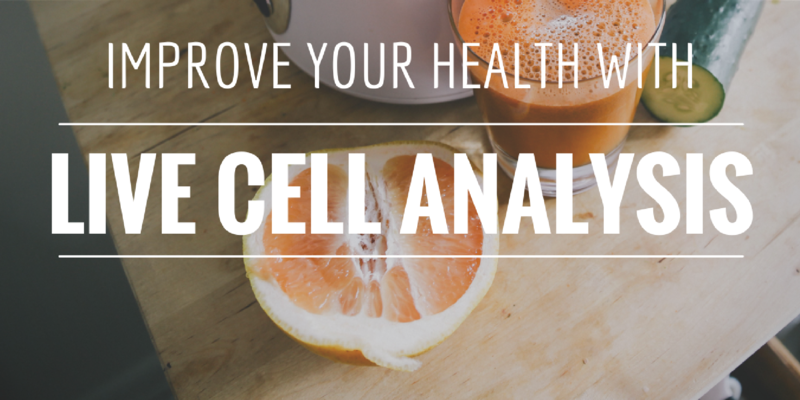 So if you’ve never had Live Cell Analysis before (or you’re an old client of Grant’s who’s been meaning to book an appointment) – the start of a new year is the perfect time to take stock of your health and make a plan to be the best you yet!